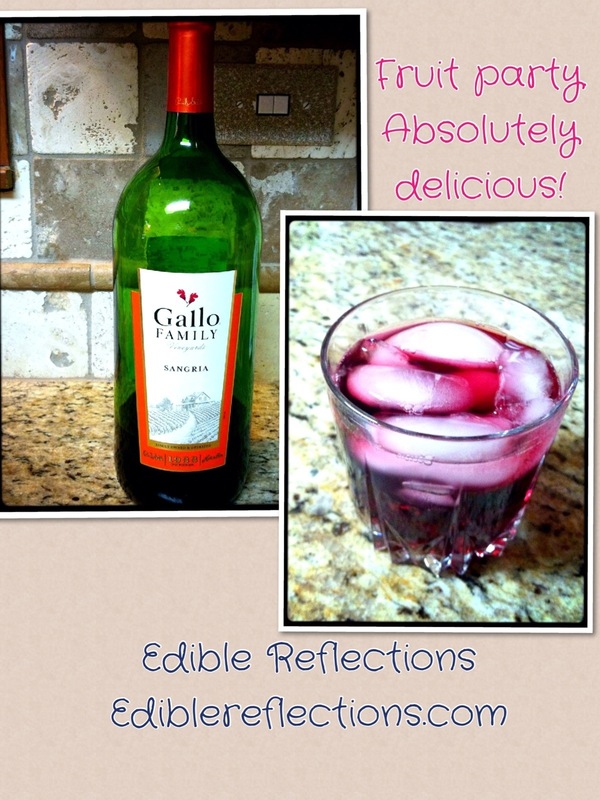 I ran into (ok, walked into) the Gallo Family Vineyards Sangria. The bottle reminded me of the amazing 3 weeks I spent traveling throughout Spain in 2006 for my honeymoon. The funny thing is that this bottle is from California. I immediately thought, what do Californians know about sangria? I uncorked the bottle and could immediately smell the fruitiness. Love that smell! I prepared a small glass with ice and poured some. I literally felt goose bumps as I was taking my first sip. It was a combination of nostalgia and joy. It reminded me of the countless sangrias I had while in Spain. I had to make sure that each region that I visited had a great sangria ;). Drinking sangria in Spain is like having a Coke in the US. So as they say, “When in Rome, do as the Romans do.” It was my duty and honor to act like a Spaniard during my trip. As I kept drinking this smooth, fruity and light sangria I thought Californian’s can produce a very nice sangria. This one is making it to my liquor store list.